Flat-roofed brick and shuttered concrete guard's block with advanced 3-bay section to centre, forming part of a group of buildings purpose-built as a World War II Prisoner of War camp. Cultybraggan Camp was under construction in September 1941, and was originally intended as a labour camp for Italian POW, but does not appear to have been occupied at that time. 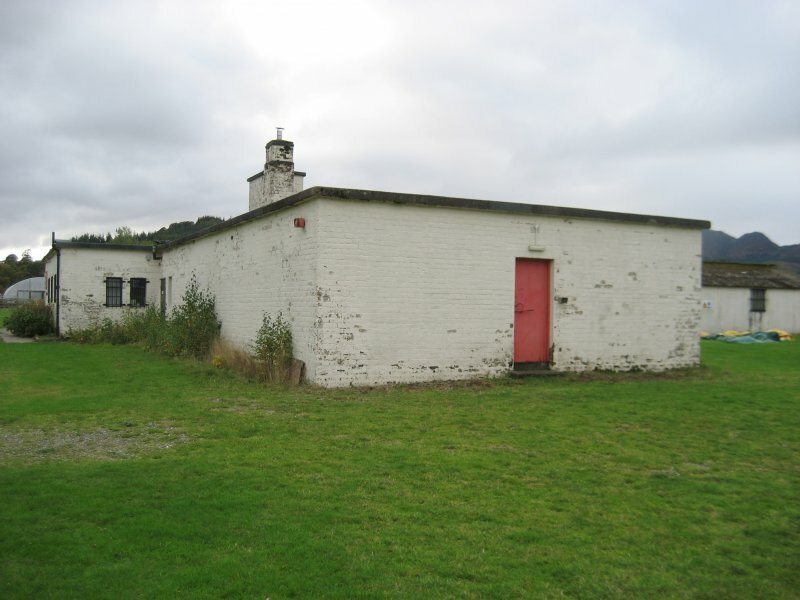 By May 1944 (the date of the camp's first Red Cross inspection), Cultybraggan was a transit camp for German POW, holding 785 with a capacity of 4500. By 25 December 1944, the camp was holding 3988 POW and had been redesignated as a base camp. 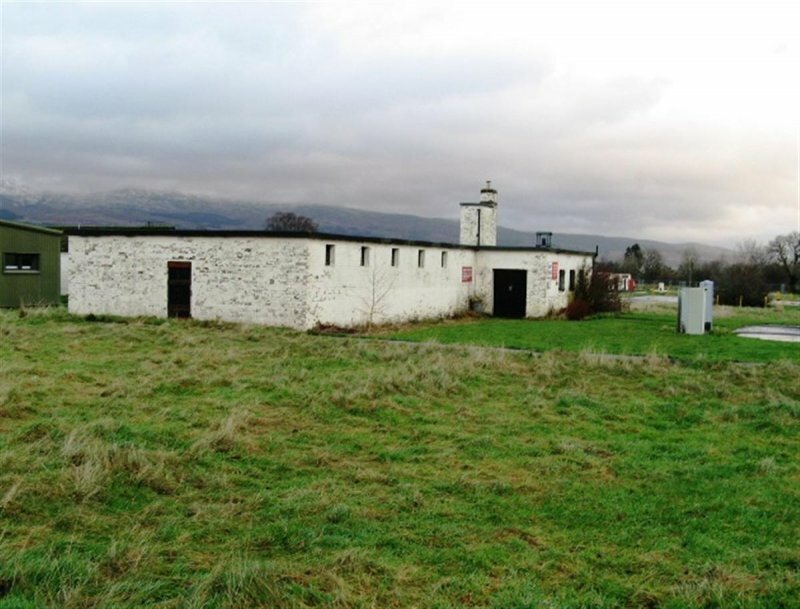 Most likely because of its remote location, Cultybraggan became known as 'Nazi 2', one of the two maximum security camps in Britain which held a high proportion of prisoners classified as 'black', i.e. the most ardent Nazis and potential troublemakers. On 22 December 1944 an infamous kangaroo court was held and Sergeant Wolfgang Rostberg was murdered as an informer by fellow POWs (5 of whom were later convicted in a high-profile trial and hanged at Pentonville). Cultybraggan was disbanded as a POW camp circa May 1947. The site was subsequently used as a training centre and location for TA summer camps. Its use as a military training camp continued until 2004. 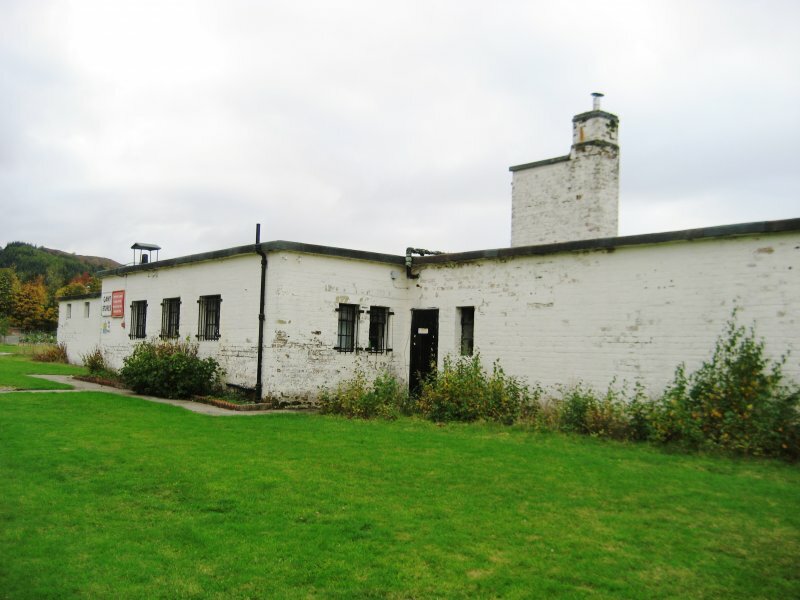 Cultybraggan Camp is one of the three best preserved purpose-built WWII prisoner of war camps in Britain. 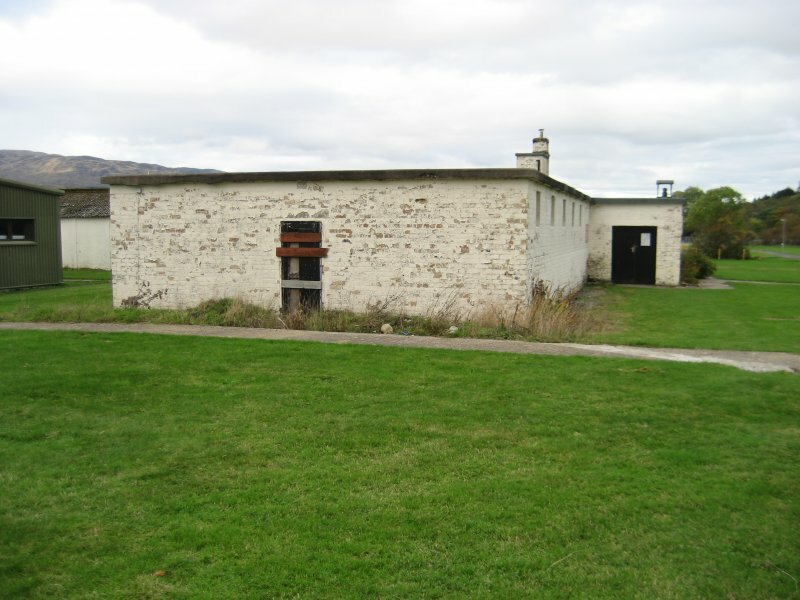 The listed structures at Cultybraggan provide important physical evidence of the ways in which POW were detained during this period, supplemented by varying levels of documentary evidence. (Historic Scotland). December 2008: Limited external inspection finds the site appears well managed and all the buildings look to be in fair condition but awaiting re-use and development. 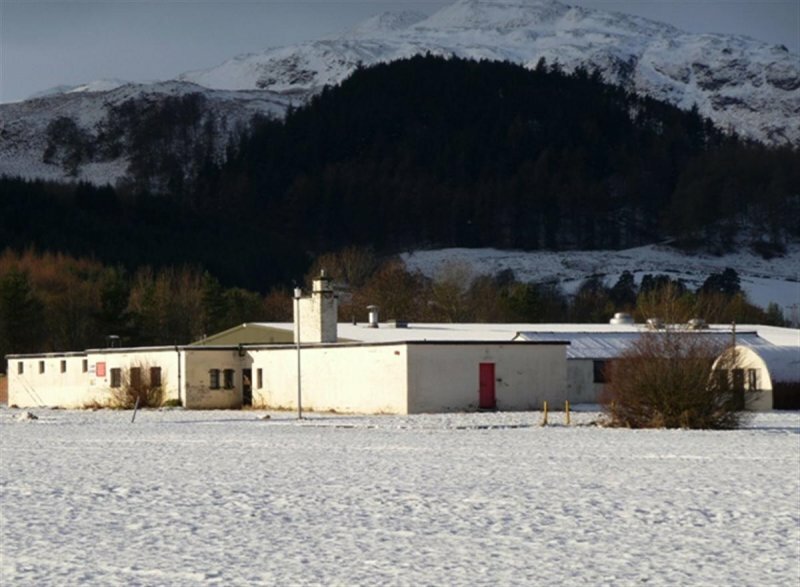 The local community (Comrie Development Trust) successfully purchased the site as a community buyout under the Land Reform legislation. Full planning permission was sought and granted in September 2008 to develop the site into a catering business, business/ general industrial/ storage or distribution and 30 garden allotments. There are also plans to develop a local history project. January 2011: Historic Scotland report an Options Appraisal brief was recently agreed by the local authority and Historic Scotland. An Appraisal Report is now in progress. November 2011: External inspection finds no significant change from the previous site visit. 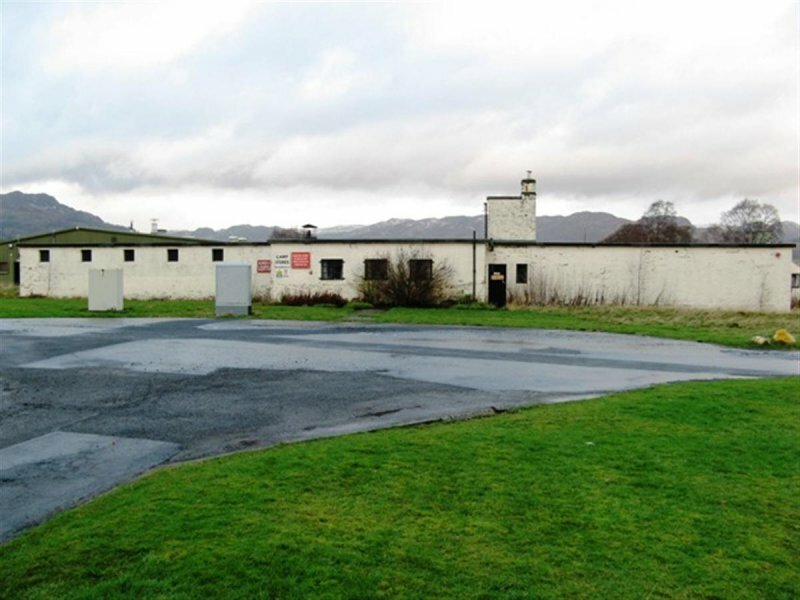 Comrie Development Trust has outlined a Vision and Future for the site, which notes re-use of the Guard's Block as the Heritage and Future Centre, incorporating a conference facility and cafe, as well as exhibition space. 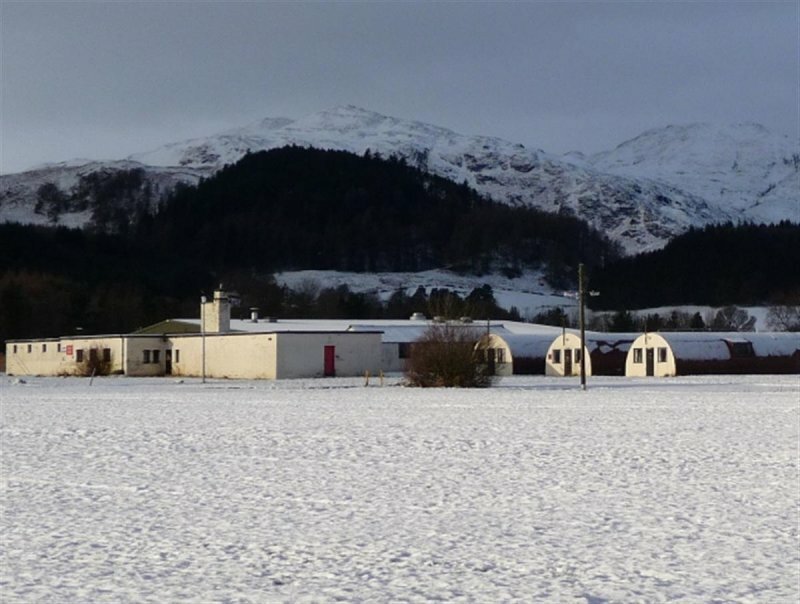 4 February 2013: Local planners advise the Comrie Development Trust has applied for Heritage Lottery Funding to develop the Guards' Block and three of the A-listed huts into a visitor centre/ camp hub. Pre-application discussions have also taken place. 24 October 2013: External inspection finds the building remains in much the same condition as seen previously. 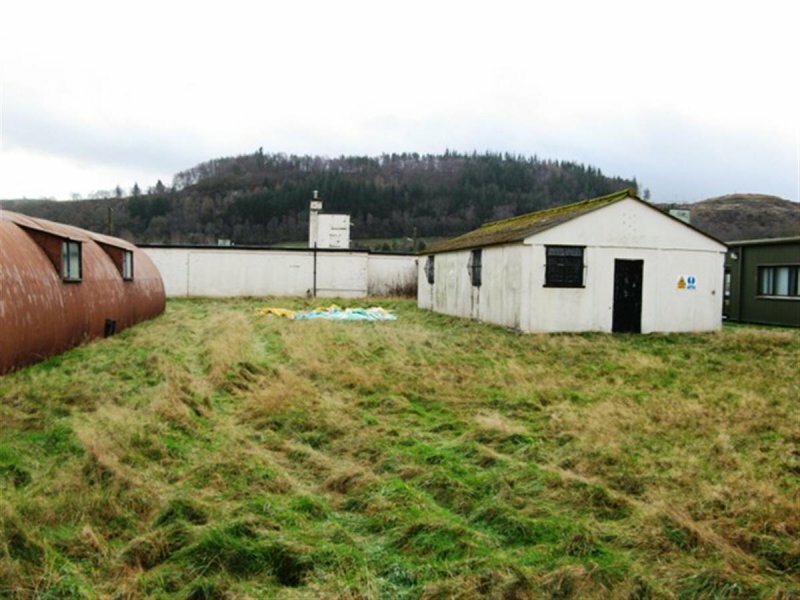 13 August 2014: Within the overall Cultybraggan site the Comrie Development Trust has converted nine Nissan huts to form commercial units, created community allotments, secured planning permission for further huts to be converted to sports facilities and converted Hut 1 into a visitor/ heritage centre. A later bunker within the site has been sold for use as a data storage facility with proceeds from the sale being used to offset the original costs to the Development Trust of purchasing the camp. Hellen, J A, `Temporary settlements and transient populations. The legacy of Britain's prisoner of war camps.' Erdkunde. Archive fur wissenschaftliche Geographie (Bonn), 1999, Vol. 53, No 4, pp.191-219. Hellen, J A, `Revisiting the past: German Prisoners of War and their legacy in Britain.' Rozvoj Ceske Spolencnosti V Evropske Unii III (Praha), 2004, p220. Hellen, JA, Reparation, re-education, reconciliation, Britain's German `POW camps revisited, Transcript of Public lecture, 21 April 2005.' Hellen JA, unpublished notes taken from ICRC records in Geneva. Thomas, R JC, Project Report. Twentieth Century Military Recording Project, Prisoner of War Camps (1939-1948), (2003), National Monuments Records Centre, English Heritage, pp18-43. Scotland on Sunday, Spectrum magazine, 18 December 1994, pp8-9. The Express, 15 December 1999, pp34-35. Royal Commission on the Ancient and Historic Monuments in Scotland records.